Corboy & Demetrio, founded by nationally acclaimed personal injury trial attorneys Philip H. Corboy and Thomas A. Demetrio, is one of the nation’s leading plaintiff personal injury and civil trial practice law firms. We represent individuals and their families in personal injury and wrongful death cases resulting from aviation tragedies, construction negligence, railroad and motor vehicle negligence, medical malpractice, product liability, premises liability and construction accidents. Our work also includes business and commercial litigation. We are extremely proud of our extraordinary history. We have acquired more than $4 billion in settlements and verdicts, of which nearly 600 are in excess of $1 million. We are even more excited about our future. Our highly successful, talented, experienced, and creative trial attorneys, our dedicated, bright, supportive and hard-working management team and staff, and our state of the art technology ensure that our clients will continue to receive the best legal services possible. There are many law firms practicing personal injury law. What sets us apart from the rest? Our unwavering commitment, dedication, compassion and relentless drive to acquire fair and full compensation for our clients. Throughout our history, we have fought against some of the largest and most powerful corporations, hospitals, manufacturers, insurance conglomerates, construction companies, national trucking firms and municipalities in the world. They include railroads, the National Football League, City of Chicago, Chicago Public Schools, Johnson & Johnson, American Airlines, Hyatt Corporation, Amoco Oil, Northwestern Memorial Hospital, the University of Chicago Hospitals, State Farm, Allstate, Turner Construction and Schneider National Trucking. And we have been successful in holding them accountable for the injuries and deaths that have occurred because of their actions. Our firm has secured record-setting verdicts and settlements against these and other defendants in all types of cases, including: airplane crashes; work place injuries; defective products; birth injuries; car crashes; medical malpractice; and railroad accidents. In one such record-setting case, a $25.2 million settlement for the death of a passenger in the US Air jet crash outside Pittsburgh, Pennsylvania, is the largest compensatory damages recovery ever awarded for the death of a person in an aviation wrongful death action. The previous record - a $25 million settlement in a case stemming from the 1989 crash of a United Airlines jet in Sioux City, Iowa - was one also set by our firm. Our attorneys tried a case on behalf of a 25 year-old who was rendered a quadriplegic after a semi-trailer truck struck her car on Thanksgiving morning that resulted in a $22 million verdict that became the largest jury award ever upheld by the Illinois Supreme Court. We also acquired a total of $40 million for a woman injured in a car collision and her husband: $34 million for the woman and $6 million for her husband for the loss of his wife’s companionship. Both awards were record-setting. In a case against Canadian National Railway, our attorneys obtained a $22.5 million settlement in 2011 for the family of a woman who was killed as a result of a derailment of a train in Rockford, IL, which was carrying dozens of CNR cars filled with ethanol. In a case where a mother died shortly after giving birth because the doctor and nurse failed to properly treat her high blood pressure, Corboy & Demetrio attorneys secured a record-setting jury verdict of $22 million. It is the largest verdict ever for the death of a woman in Cook County, Illinois. Our attorneys obtained an $18 million settlement for a Mexican national who was killed by a piece of falling glass from Chicago's CNA Tower. In addition to our extraordinary success on behalf of our clients, our work has affected public policy, raised public awareness, and improved public safety. When the country was fearful of taking any over the counter medicine because of the tampering with Tylenol, our firm negotiated a settlement on the eve of trial with Johnson & Johnson, the product’s manufacturer, that led to regulations requiring tamper-resistant packaging on all over-the-counter medicines. The attorneys at Corboy & Demetrio prosecuted two separate cases where innocent drivers were seriously injured at the same dangerous intersection. As a result of the substantial awards - over $30 million - and the public outcry that resulted from the horrible injuries needlessly suffered, the State of Illinois completely reconfigured the intersection and the adjoining roads to prevent further injuries to innocent victims. Using a cell phone while driving is a very dangerous practice. After our firm was hired to represent a street crossing guard who was injured when a motorist hit her while talking on a cell phone, the attorneys handling the case became actively involved in persuading the Chicago City Council to enact a ban on using a cell phone while driving. Chicago was one of the first major municipalities to enact the ban. Our attorneys are a truly exceptional group of lawyers. 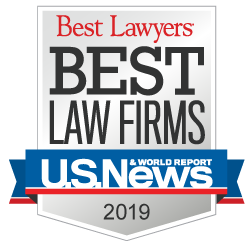 All of our partners have been chosen by peer review for inclusion in the Leading Lawyers Network, which recognizes the top five percent of all Illinois lawyers. In addition, all our partners have been recognized as "Super Lawyers," an honor given to only the very best lawyers by other Illinois attorneys. Corboy & Demetrio is the only Chicago law firm to include four former Chicago Bar Association Presidents. They are: the late Philip H. Corboy, Thomas A. Demetrio, Rene A. Torrado and Michael K. Demetrio. It is also the only law firm to have four attorneys serve as President of the Illinois Trial Lawyers Association, namely Philip H. Corboy, Thomas A. Demetrio, Robert J. Bingle and Philip Harnett Corboy, Jr. Attorneys at Corboy & Demetrio lecture across the country on civil litigation issues and trial techniques and have held national, state, and local legal leadership positions. They actively participate in continuing legal education programs and regularly share trial skills and knowledge of substantive law with audiences of lawyers, law students, professional associations and medical groups. Our lawyers are also frequent authors of scholarly, editorial and legal articles in law journals, bar publications, continuing legal education manuals, medical or trade group journals and local and national newspapers. In addition to being renowned for our achievements in the courtroom, we are also renowned for our contributions to the community. We have established and funded scholarships, fellowships and endowments at local and national mentoring programs, high schools, and universities, including all six Chicago law schools. Our partners, associates and office staff contribute by serving on Boards, raising funds, tutoring and lending a hand wherever needed for a variety of charities and nonprofit organizations. Philip Harnett Corboy, Jr., is a past President of the Board of Directors of the Legal Assistance Foundation of Metropolitan Chicago, a not-for-profit agency that provides free civil legal services to low income and elderly people in Chicago and suburban Cook County. We also support Cristo Rey Jesuit High School’s internship program by employing four students, and in 2006, the firm established a pro bono department, which helps the indigent and elderly with legal matters that affect their day-to-day quality of life. Thomas A. Demetrio is the founder of the Lawyers Lend-A-Hand to Youth and funds the Thomas A. Demetrio Lend-A-Hand Award of Excellence, which is given annually to the most exemplary established Chicagoland area tutor/mentor program. For more information, visit the Corboy & Demetrio firm history website.